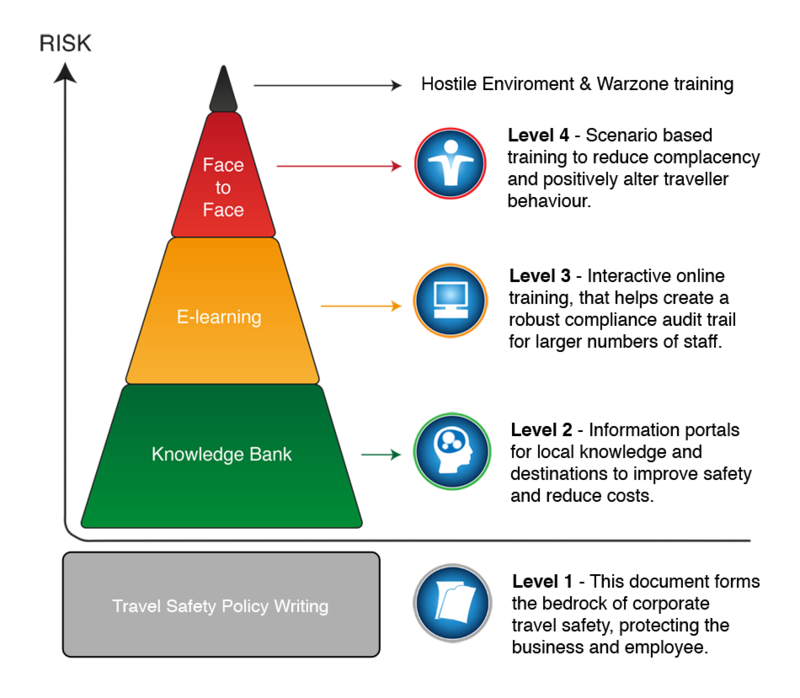 A robust Travel Safety Policy is a must for all organisations that send staff or students overseas. It should be readily available, up to date, pertinent and pragmatic. Travellers need to know what to do, when to do it and how to use the knowledge held within it. In fact, it should form the bedrock for all international travel and be fully audit-able to ensure the organisation is covered under duty-of-care legislation. A Travel Safety Policy helps both the traveler and the organisation understand the correct processes and procedures to follow when booking and conducting overseas and domestic travel . It explains what services are available and where these can be accessed -be they occupational health, risk assessments or flight bookings. It also explains what actions should be taken should an unforeseen incident occur when overseas. This might be from the mundane such as a lost passport right up to serious injury or even worse. The 1974 health and Safety at Work Act – a company must provide a safe working environment for all staff members, no matter where in the world they are. The Bribery and Corruption Act – recently introduced with severe penalties for companies should an employee, agent or subcontractor fall foul of the law.